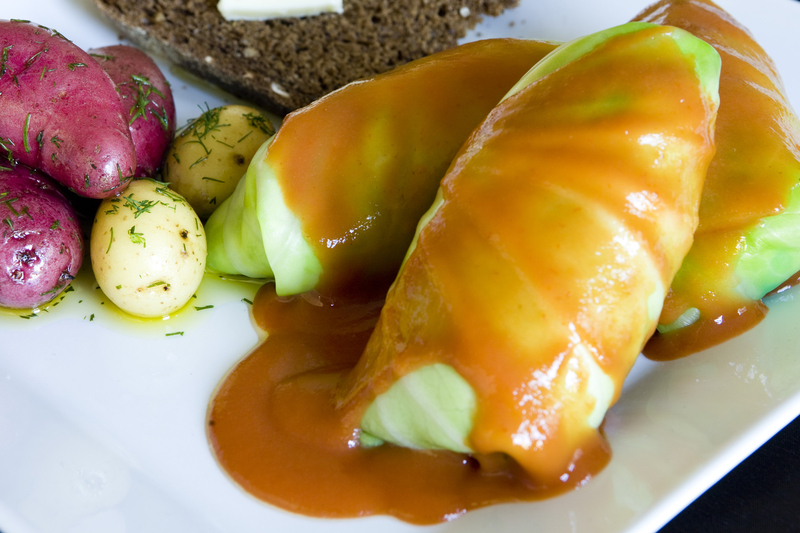 Cabbage Rolls (Gołąbki in Polish) are an iconic Polish comfort food enjoyed by hungry eaters all over the world. Our American friends love them as much as our Polish friends. Legend has it that in 1465 King Kazimierz IV fed cabbage rolls to his army prior to the Battle of Malbork against the Teutonic knights. The brave Poles defeated the Teutonic Order and their victory was credited to the high nutritional value and strength-boosting qualities of their cabbage rolls. Bring the tomatoes and butter to a slow boil. Break up the tomatoes as they cook. Simmer this mixture until it thickens – about 20 to 30 minutes. Using a traditional standing blender or immersion blender, blend until smooth. Add salt and pepper to taste. Pour over the cabbage rolls and bake for one hour at 350 F°. Periodically spoon some of the sauce over the cabbage rolls to keep the tops moist. 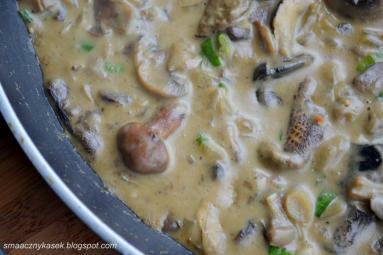 Simmer the mushrooms and onion in the bouillon for 15 minutes. Mix the flour with cold water and stir in. Season with salt and pepper to taste. Blend in the sour cream and mix well. Pour over the cabbage rolls before baking. You could also forgo any sauces and bake the cabbage rolls in their own juices, adding some water or broth, and flour at the end to thicken it up. Whether you prefer Tomato Sauce, Mushroom Sauce or none, your cabbage rolls are sure to be a hit with anyone at your table. 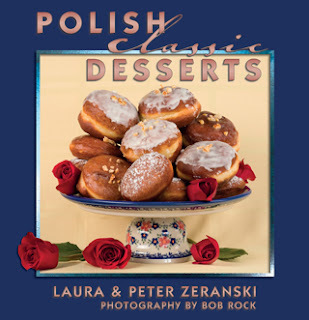 We like to serve them with Polish beer, icy vodka shots, or a hearty red wine.